My brain is fuzzy with excitement… or a lack of coffee… or maybe both. I have a ton of stuff I want to update you guys about! More house progress, life updates, a very belated Charlie update, more rooms on the to-do list this summer, things blooming outside, a HUGE comical mishap in one of my gardens, and even a costume-clad party. Basically, my plate is so full with things I want to talk about, recommend, and more, that I didn’t know where to start. So, I’m starting here: with my living room’s new block print area rug. Mainly because since I already spilled the beans on Instagram, and you guys wanted to know where to find one (or similar), and I didn’t want to keep you hanging before I forgot and moved on to the 257 other things (sidenote: this post may contain affiliate links). Swoon. Isn’t it gorgeous? I bought it here. You guys might recall that I’ve changed out rugs in this room a few times before, but I never felt I got it quite right. Until now. 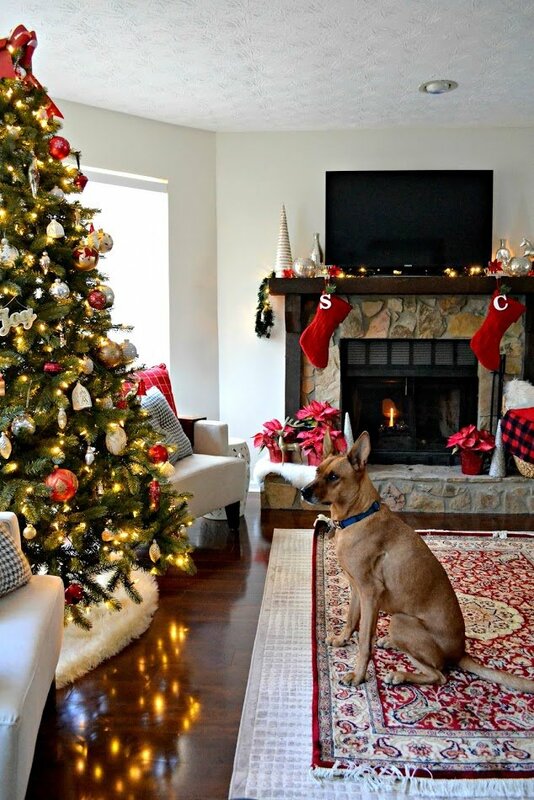 And my main problem was the same problem that happens to thousands of other homeowners making the same design mistake I was making over and over again: putting too small a rug in one of my largest rooms. When I last changed out the rug, it wasn’t really because I hadn’t figured this out yet. But rather, I’d realized that the plush IKEA rug I’d put in here wasn’t going to cut it. It was great for putting up with Charlie (it had just the right amount of beige and pattern to not show dirt), but it had a number of other issues (too small, my overall design preferences had changed to more gray, etc.). 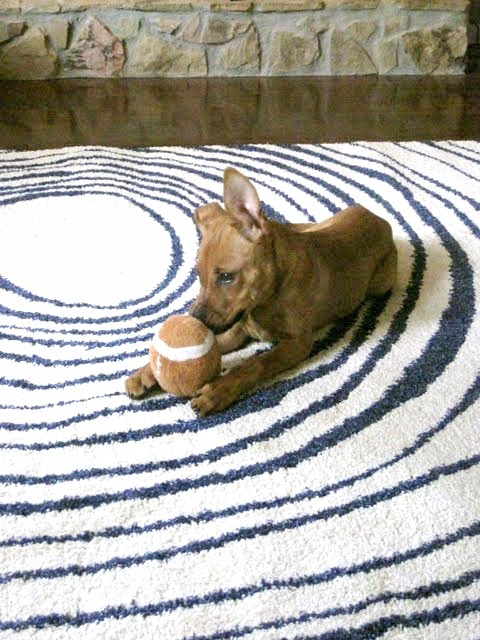 Aw… puppy Charlie made a great model, didn’t she? I didn’t want to make the same mistake again with a new rug, but I still needed something in here underfoot until I found its replacement (Charlie freaks out a little on floors with no traction). So during the holidays, I pulled in a rug from my upstairs office I wasn’t using and layered a Turkish rug from my sister on top for a little color (layering rugs: it’s actually a lot of fun and brings in a lot of texture, so if you’re feeling brave, try it out!). That gave me enough time to not feel pressured into getting something until the price (and size) was right. I spent a long time just casually looking, but after selling off my coffee and side tables, it became even more obvious how spacious this room really is. The other problem: even though the walls are a more pleasant neutral these days (Dove Wing by Benjamin Moore), the couch, rug, and substitute (temporary) coffee table all work to pick up yellow undertones when afternoon light pours in… which is definitely not what I’m going for! effort I put into cleaning up before snapping a photo: zero. 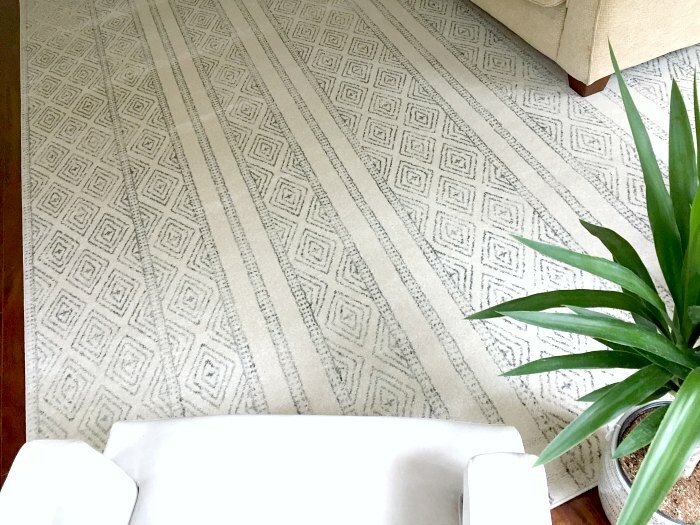 Note: there are lots more on each of those sites… “block print area rug” was my general search, but looking a the white rugs often turn up similar styles! The flash sales for the holiday began just last week, so I ordered. It didn’t take long before I had to see what it looked like in the room, and rolled it out. It’s even better than I expected! Plus, it also fits the room’s size much better. 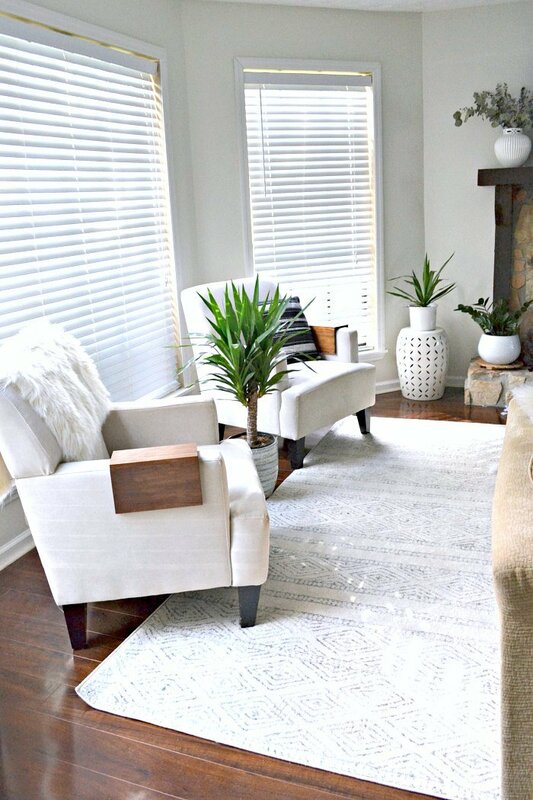 It’s 9′ x 12′, leaving just a small perimeter around the odd angles of the room and touches all the furniture (for a guide on how big of a rug you should get, check out this post). I suppose it’s more of a personal preference, but I guess I’m a “front legs touch the rug” kind of person, and with all of my furniture having exposed legs, I wanted to stay consistent (technically, it’s all one conversational area, but the bay window still creates a nookish feel to the two far chairs, so I don’t need all of it to rest on the rug… plus, the odd angles of that area would either force me to get something custom or chop it up with a smaller rug in that spot, which I didn’t want to do). As you can see, the room is still yet to be complete and the rug still isn’t flat, but, ya know… that’s the way it goes around here. I actually chose not to take a photo of the rest of the room because there are a number of things I’m working on, and I don’t want to reveal one of them in particular before it’s finished. Plus, this also helps illustrate how the rest of the room is making everything look so yellow, and by cropping out those pieces, the colors look more balanced and have hints of gray. I’m now also on the hunt for the next thing: a new couch set or sectional that can fit company comfortably in front of the TV. Isn’t that how it always happens, though? The domino effect of new things. I suppose I’m well overdue, anyway — that couch has been with me since my apartment days! Have you been on the hunt to replace anything lately? « Timeless Home Decor Trends – Is There Such a Thing? 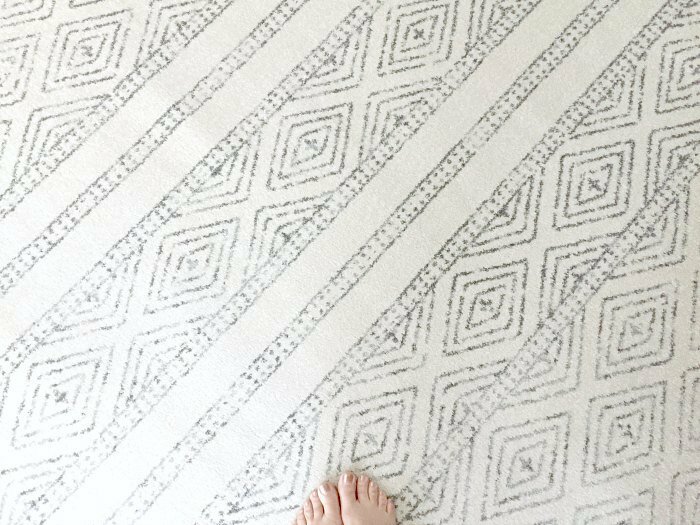 Oh my, I am in love with these rugs! Very graphic and so wonderful. Charlie is so sweet!~! Oops… sorry about that! That’s the problem with manually doing those email links nowadays… I forgot to change one of them — I change each link in the newsletter in 3 spots (the image, the title of the post, and the “read more” link), and I constantly fret that I’m not updating something right. I’ll have to correct that the next time the newsletter goes out and explain my flub. Thanks for letting me know! 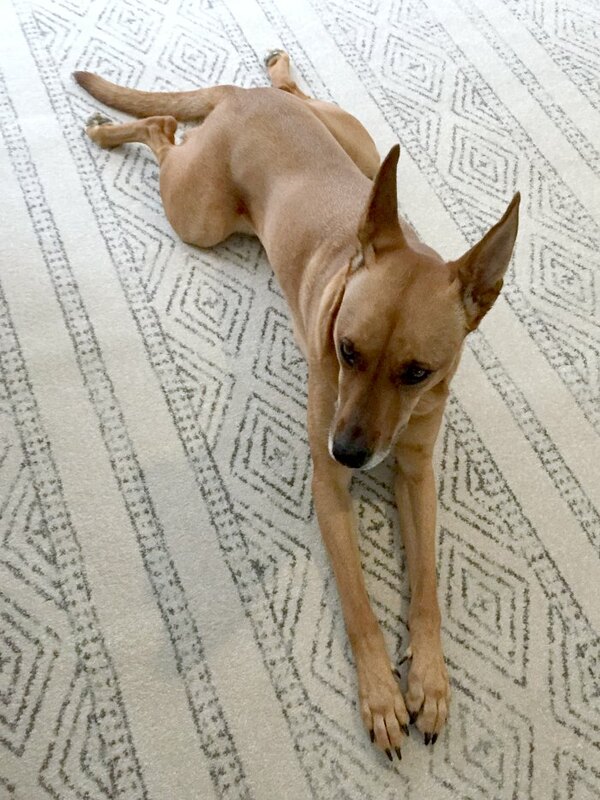 I too have a dog that requires carpets… Carpets are crazy expensive!! I end up looking for deals on the craigslist-type sites instead of trying to find new. I’ve had a bit of luck that way too! I love the rug you chose! it’s got character while remaining neutral. I’ve tried a few times but never really found what I was looking for there… then again, looking for new is just so fun too. I think it’s because I am mentally prepared to bring in furniture like dressers and solid pieces, but anything related to textiles and I worry that there will be a funky smell! Glad it’s worked well for you though. Fingers crossed you get your rug soon! I hope the cat just needed a checkup! Just in time, I love those rugs! We had that same IKEA carpet! Emphasis on the had. My dogs love a rug, but our 5 lb Yorkie somehow got hold of a bag of Hershey’s Kisses, and proceeded to eat half of them. Before I realized what had happened, she was expelling said chocolate all over the rug. Fortunately, she was okay (quick rush to the emergency vet), but the rug, which we’d only had for 4 months, was beyond saving. It was slightly smaller than I wanted, so I’m now on the hunt for the perfect rug. Sigh. 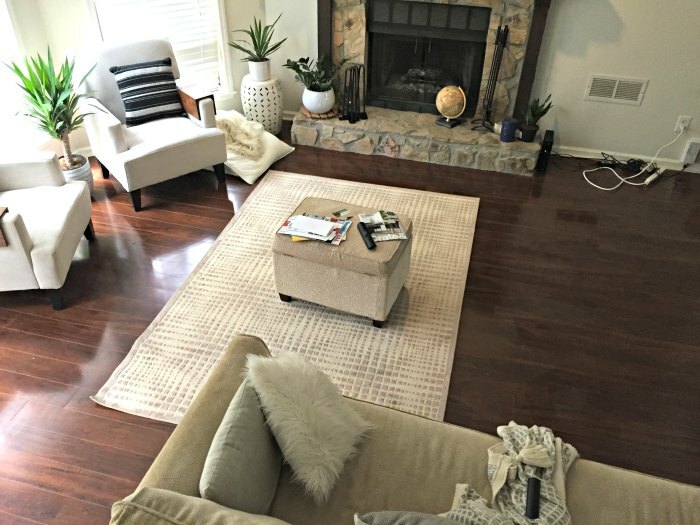 Why is finding the right rug so hard?